Are you ready to leverage the flexibility and power of mobile and cloud computing? ZK Research outlines the limitations of legacy WANs and provides recommendations for transforming your network into a strategic asset. 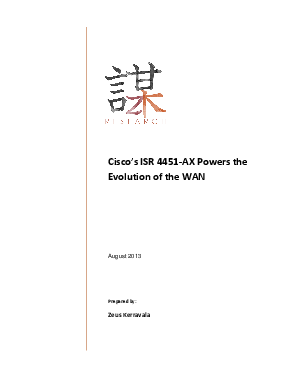 See why the Cisco ISR 4451-AX is your building block for evolving the WAN.